■ Type A: involving ascending aorta or arch. 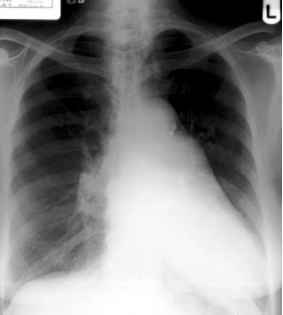 ■ Type B: limited to descending aorta (distal to left sub-clavian). Clinical manifestations vary depending on the site and extent of the dissection. ECG changes of myocardial infarction can be present if the coronary arteries are involved, and neurological signs may indicate haematoma or intimal flap narrowing the head and neck vessels.